Even though Thanksgiving is over, let us give thanks for this wonderful new episode of 'Who Shot Ya?' Drea Clark is back in the building to talk with the crew about Widows. Alonso mourns the loss of 'Irv's Burgers' in West Hollywood. April shares a great Ethan Hawke story. Drea attends a festival for festival planners. And Ricky rejoices at the re-opening of the New Beverly Cinema. Plus, we take a call from the 'Who Shotline.' Alonso almost has a heart attack during the "El Mero Mero De Navidad Christmas Minute.' And as always, staff picks. In news, Eddie Redmayne admits he gave an "interesting" performance in Jupiter Ascending, General Mills wants to make a Cereal Monsters film franchise, and the Criterion Channel is re-born. Next week we're discussing Creed II with CJ Sullivan . With Drea Clark, April Wolfe, Alonso Duralde, and Ricky Carmona. A fresh episode of Who Shot Ya? right out of the oven. We've got the classic crew of Ricky, Alonso, and April, and they're talking about the newest installment in the "Nazi Zombie" movie genre. That's right, we're discussing Overlord. In addition to that, April is only slightly "yawny" this episode. Alonso is excited about Oprah's Favorite Things list. And Ricky is hyped over a Tribe Called Quest and Wu-Tang mash-up album. Plus, the crew discusses the life and work of Stan Lee. We've got another installment of Alonso's Christmas Minute. And, as always, we've got staff picks. In news, Spike Lee wants to make a musical, FX asks the Supreme Court to throw out Olivia de Havilland's lawsuit, and James Woods has a moment of redemption. 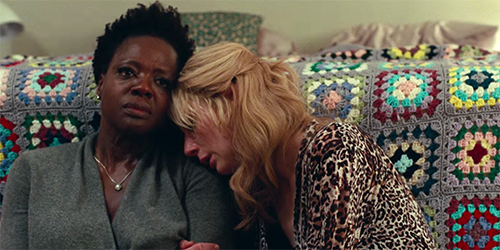 Next week we're discussing Widows. Don't stop me now! 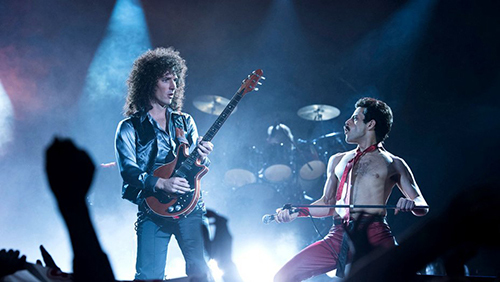 We're talking about the new Queen biopic Bohemian Rhapsody. We are so lucky this week to be joined by friend of the podcast, film critic Katie Walsh. This episode was recorded the night of the election, so you can certainly hear a level of optimistic anxiety in all the host's voices. The crew dissects all the important parts of the new movie: Rami Malek's fake teeth, the bad jokes, and how many times the band members say that they're a family. Plus, we chat about the phenomenon of straight actors playing gay characters. AND, most importantly, Alonso kicks of the Holiday season with a new weekly segment called The El Mero Mero de Navidad Christmas Minute. Each week Alonso will recap all the Christmas movies he's watched from the past week. The only caveat is that he must do it in under a minute. And as always, we have staff picks. In news, the titles for the new Avatar sequels are in, the LA Film Festival is no more, and JJ Abrams seeks a "Megadeal." 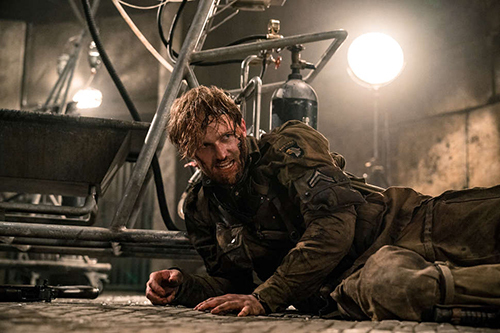 Next week we're discussing Overlord. With Katie Walsh, April Wolfe, Alonso Duralde, and Ricky Carmona. Even though Halloween is over, we're still keeping it spooky. That's right, we're talking about our favorite "witch dance" movie of the year, Suspiria. This week we're so lucky to have the hosts of 'The Bechdel Cast' podcast, Jamie Loftus and Caitlin Durante, on the program. The crew discusses their favorite aspects of the Halloween season. For Caitlin it's the pumpkin shaped Reese's peanut butter cups, for Alonso it's the appearance of the sign banning silly string on Hollywood Boulevard, and for Jamie it's the chance to buy a "Twerking Mummy" toy at CVS. Plus, the gang helps some previously failing movies pass The Bechdel Test. And as always, staff picks. In news, the Wachowski's are potentially retiring, FilmStruck closes down shop, and the MPAA turns 50. With Caitlin Durante, Jamie Loftus, Alonso Duralde, and Ricky Carmona. Boo! It's our HALLOWEEN episode! And boy have we got some tricks and treats for you. The first treat is our guest, horror expert and all around delightful person Betsy Sodaro (Disjointed, Another Period, Horny 4 Horror Podcast). A second treat is that we have our entire crew on the show this week - Ricky Carmona, April Wolfe, Alonso Duralde, AND Drea Clark. This haunted house is full! But the trick is that one of our hosts - DOES NOT MAKE IT TO THE END OF THE EPISODE! 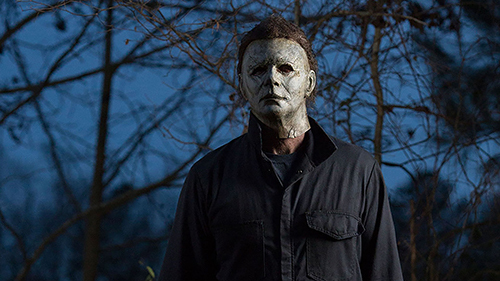 The gang is tasked this week with discussing the new Halloween movie along with the entire Halloween franchise. Plus, our lovely hosts are quizzed on horror movie taglines in that game all the kids are playing - "Name That Horror!" And as always, staff picks. In news, Lebron James wants to reboot Friday the 13th, the American Genre Film Archive and Alamo Drafthouse want to preserve your VHS', and Guillermo del Toro goes to Netflix to make a new Pinocchio. With Betsy Sodaro, Drea Clark, Alonso Duralde, and Ricky Carmona. April Wolfe is back everybody! Albeit a bit jet lagged. This week the crew takes off with a discussion of First Man. April calls Damien Chazelle an "old man." Alonso salivates over Milk Bar. And Ricky invents a new cocktail. Plus, we chat about the movies that still scare us to this day. And as always, staff picks. In news, the original Aladdin screenwriter is not happy, Chow Yun-fat is giving away all his money, and David Lynch knows how to fix this country. Alonso - Can You Ever Forgive Me? Next week we're discussing Halloween with Betsy Sodaro. A more perfect episode could not be cultivated for our guest Louis Virtel. 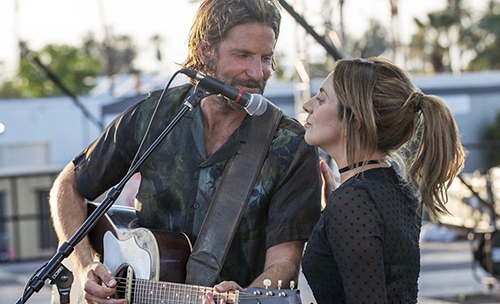 We discuss the big hit of the fall A Star Is Born. As an added bonus, we go deep on something near and dear to the hearts of Alonso and Louis, the 50th anniversary of the release of Barbarella. Ever the Jane Fonda fan, Louis dives deep on the filmography of one of the greatest movie stars of all time. PLUS, Ricky elaborates on the oeuvre of The Wu-Tang Clan (AKA the "Wu-vre"). Alonso praises Taylor Swift. And Drea is amped on the new season of 'Dr. Who.' To finish out the episode, as always, we've got staff picks. In news, James Gunn gets a new gig, there's a really weird profile of Drew Barrymore on the Egyptair in-flight magazine, and Richard Dreyfuss has some ideas on how to make Jaws better. You can listen to Louis every week on Keep It. 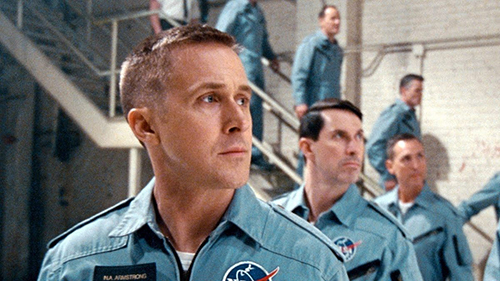 Next week we're discussing First Man. With Louis Virtel, Drea Clark, Alonso Duralde, and Ricky Carmona. There is TOO much going on in this episode. First off, our guest is the wonderful and hilarious Alison Becker. 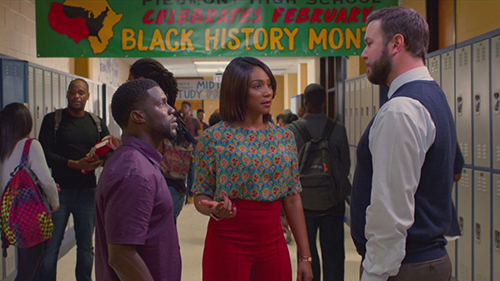 She's here to discuss the new Kevin Hart/ Tiffany Haddish vehicle, Night School. On this episode we learn very quickly that Alison has a deep sexual attraction to Eddie Redmayne. Ricky reveals the launch of his movie club. April talks about poetry, again. And Alonso is excited that he gets to use his oven. But that's not all because the crew also gets a call from film legend Lin Shaye. She is the ambassador for this year's Screamfest. She also discusses her career, work ethic, and newest projects. (And if you want hear more Lin you can listen to her on a past episode of Switchblade Sisters). She's a hoot. And last but not least, we have staff picks. Way too much for one episode. In news, John Carpenter just wants to watch basketball and play video games, Alden Ehrenreich rides a rollercoaster, and Macaulay Culkin wants to be in Fantastic Beasts. You can watch Alison's new show 'Are You Smarter Than A Drunk Person" now on The Brewdog Network. With Alison Becker, April Wolfe, Alonso Duralde, and Ricky Carmona. We've got Ricky, April and Alonso in the studio this week, along with special guest Oliver Wang. Like Ricky, Oliver is a fellow DJ, and he also hosts the brilliant music podcast Heat Rocks on Maximum Fun, alongside friend of the show Morgan Rhodes. April tells us about her feminist ghost hunting pilot; Alonso's excited about the BBQ chicken tenders at McDonald's; Oliver is stoked to be a guest for the first time on WSY and Ricky's reminded of his childhood after watching the Canelo fight and going to a party where Los Angeles Plays Itself played in the background. Plus, music scholar Oliver Wang outs himself as an unabashed Predator fan, who's seen every single Predator movie. Will he be one of the few (only?!) 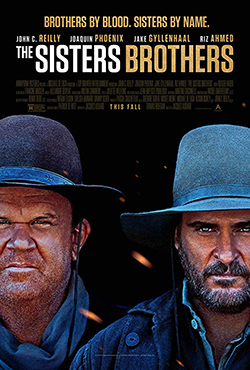 fans of this franchise that doesn't pan the film? Find out. In the news, Gael Garcia Bernal wants to know why there aren't more US-born LatinX directors, Yacht Captain Dennis Davers breaks his silence about what he thinks happened the night Natalie Woods drowned, and Christopher Nolan and Paul Thomas Anderson have teamed up to demand TV manufacturers up their TV-settings game for better movie watching experiences at home.